These came standard with the KGB boot and they blew me away! They were better than the studded rubber of my last boot. These really shine under water with great traction. It is a high adhesion porous rubber so they do lose material over hikes so maybe keep these in the pack and hike with the cheap Kling-On soles to extend the live of these great Vibrams. 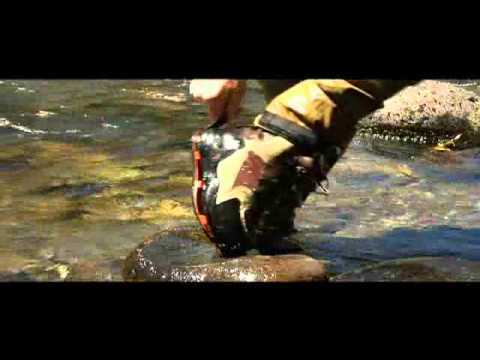 Same material that Simms, Orvis and Cabelas use on their guide boots. As a guide working for 4 to 5 month in alaska using these Whitehorse boots and vibram sloe. I was very happy to let my client's know,how they performed on a daily basis in the Alaska tundera and not once did the boa lacing system brake. The newer vibram idrogrip soles are highly recommended. They have greater grip on rocks and mud than older versions of rubber soles.